A child peeling an orange on the subway. A bearded man with gentle eyes holding a tin cup on the corner. When we see life through the lens of faith, everyday moments become a source of hope and strength. 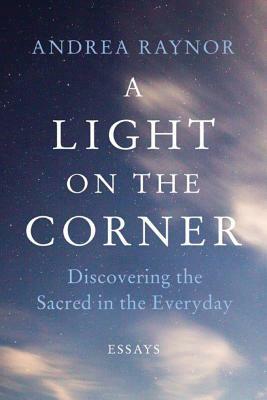 In this collection of essays, chaplain Andrea Raynor reveals the unexpected places she has experienced the Divine and shows us how we, too, might come to see life as a spiritual adventure--one on which we are never truly alone. Raynor's own life has required more than a little bit of faith. She served as chaplain to the morgue at Ground Zero and has ministered to hospice patients for more than twenty years. She's survived breast cancer and tended a brother wounded by the Vietnam War. Any one of these experiences could have shaken her belief, and yet she sees the holy in them all. It's easy to lose our way, to forget who we are and why we are here. But each moment, no matter how trying, helps us chart our course and lights our path toward a more spiritually fulfilling life--all that's required of us is an open heart and a little faith on the journey.